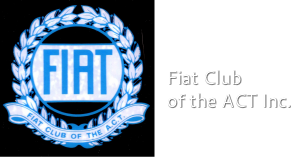 The CLUB's financial year commences on the 1st October and the annual membership subscription is $40.00 for either single or family membership and $20 for Inter-State Memberships. New Members who join after 1 April will be deemed to be financial for the following financial year. Payment options - Cheque, money order, cash in person at meetings/events or direct debit. Please print the Membership form and send the form to the club, either scanned and emailed with Direct debit reference or mailed/in person with cheque or money order.